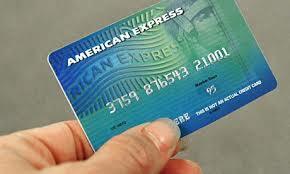 American Express cards are available from the American Express Company. AMEX is a multinational corporation found in New York which offers financial services worldwide. As a global services company, they provide customers with access to products which will enrich their life, like credit cards. The company’s logo, a Centurion, appears on all credit cards, charge cards and traveller’s cheques. American Express issue their cards and finance the payments you make. Use the card sensibly, and you’ll be able to take advantage of the extra rewards they offer. AMEX cards differ slightly from VISA and Mastercard who process your payments but don’t issue your credit card. Once a card for only wealthy customers, the company provides cards for everyone today. Each card comes with unique benefits and extras. American Express offer customers high credit limits and access to exclusive events. Members also get benefits like shopping at exclusive boutiques and access to private airport lounges. However, the American Express Centurion card which is by invitation only comes at a high price in fees each year. The best American Express cards today offer up to 5% cash back on purchases, as well as Airmiles. The cash back schemes last for a limited introductory period only. Some American Express cards are linked to individual retailers or airlines. Others are charge cards where you pay for all spending during the month in one go to avoid fees. American Express charges vendors an extra fee for them to process the card, which is a disadvantage, unlike Mastercard or Visa. Therefore, you won’t be able to shop with your American Express card wherever you wish. You may have already discovered that smaller retailers have declined your AMEX card. American Express cards that offer extras such as cashback usually have limits on the offers. The cashback, for instance, may have a time limit. Sometimes this kind of feature means the card holders miss out on rewards. If there is a time limit, it becomes a standard credit card once the offer expires. Reward cards have high interest rates which make them expensive to use once the offer expires. When asked why they use American Express cards, cardholders positive replies far outweigh the negative. They maintain that American Express is one of the best account management websites and is alway improving their customer’s online banking experience. Also great customer support and the membership rewards program offer a great selection. Using an AMEX card is a smart move because of their helpful customer service and the fact that they genuinely want their card holders to have a happy experience with them.